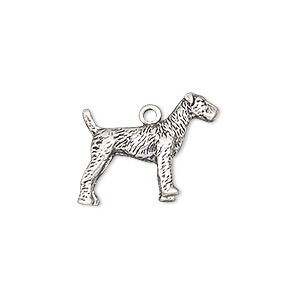 Charm, sterling silver, 14x12mm dog. Sold individually. Item Number: H20-A8032FN Have a question about this item? Tailor your jewelry designs to your customer's liking with intricately detailed themed charms. Use a jumpring to attach the charm to chain or earrings for quick style. 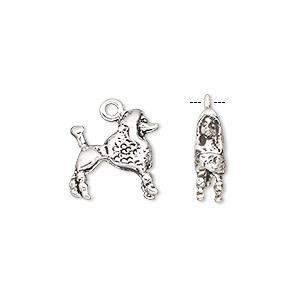 Charm, antiqued sterling silver, 14x13mm 3D Poodle. Sold individually. 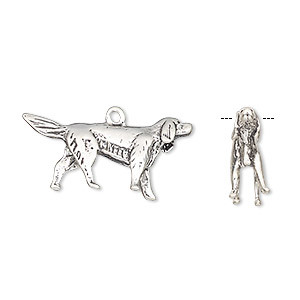 Charm, antiqued sterling silver, 25x12mm 3D Irish Setter. Sold individually. 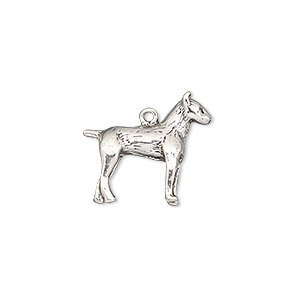 Charm, antiqued sterling silver, 17x14mm 3D Chihuahua. Sold individually. 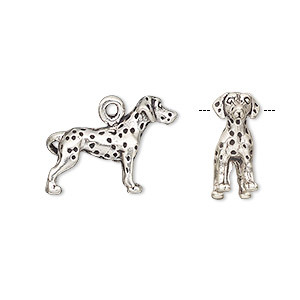 Charm, antiqued sterling silver, 19x14.5mm 3D Dalmatian. Sold individually. 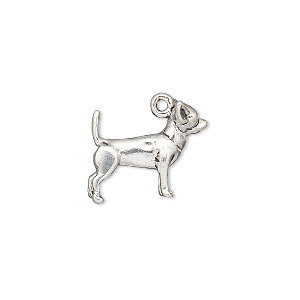 Charm, antiqued sterling silver, 19x16mm 3D Jack Russel. Sold individually. 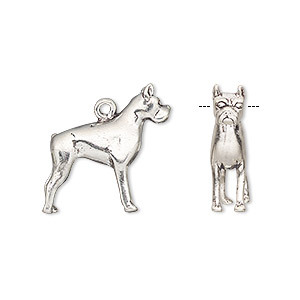 Charm, antiqued sterling silver, 19x18mm 3D Boston Terrier. Sold individually. 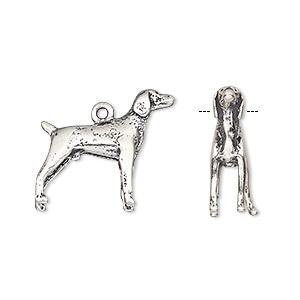 Charm, antiqued sterling silver, 19x18mm 3D Retriever. Sold individually. 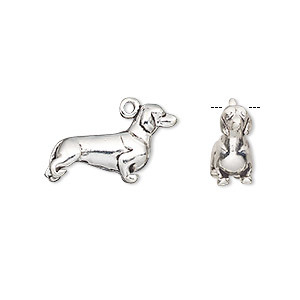 Charm, antiqued sterling silver, 20x14mm 3D Dachshund. Sold individually. 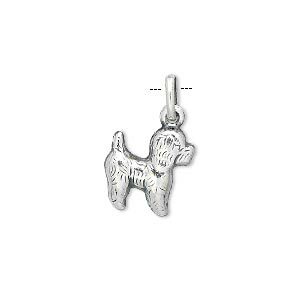 Charm, antiqued sterling silver, 20x15mm 3D Airedale Terrier. Sold individually. 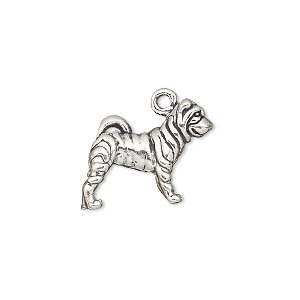 Charm, antiqued sterling silver, 20x18mm 3D Shar-Pei. Sold individually.